Machining Operations - Reed City, Michigan - H & R Screw Machine Products, Inc.
At H & R Screw Machine Products, Inc., our success is built on providing a standard of quality, precision, and value that is unmatched by our competition. 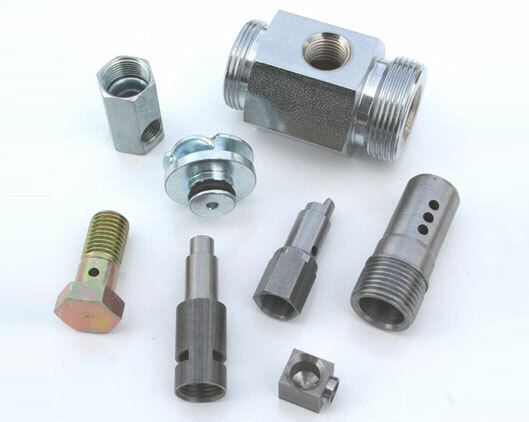 Whether you are looking for a highly qualified source to complete machining operations on your castings or forgings, or you have a need for machined components as part of an assembly project, we can likely serve your needs. We are well equipped to handle even the largest volumes. 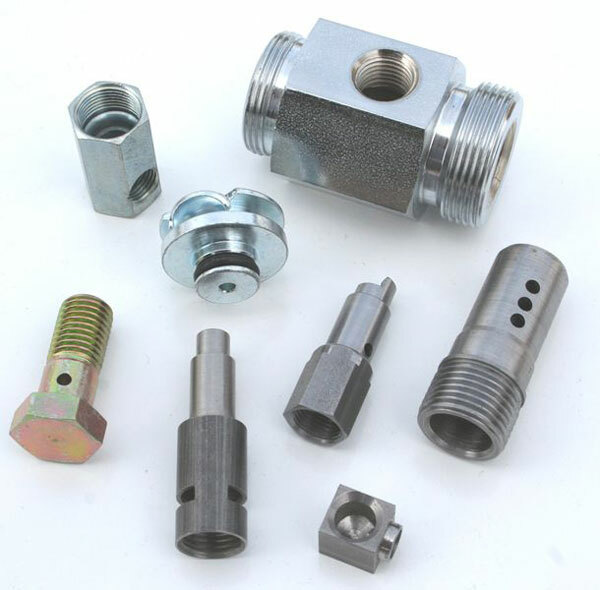 While we are known for our screw machine capabilities, we also offer a variety of additional high quality machining services. 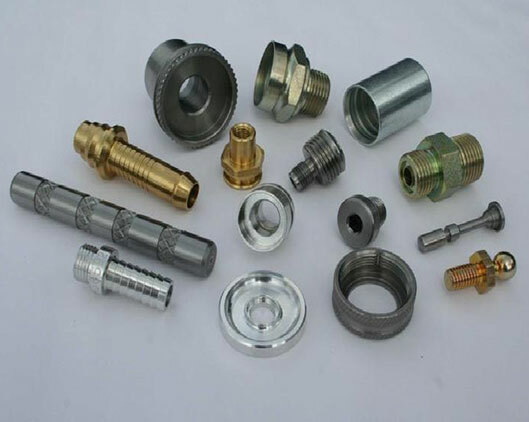 As with our screw machining capabilities, these services also provide our customers access to an outstanding level of precision and flexibility. 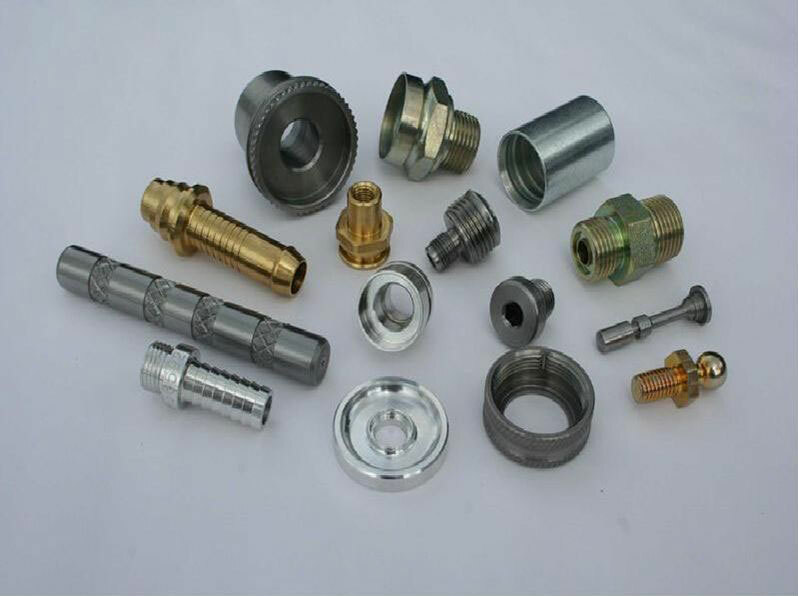 We can work with aluminum, steel, stainless steel, brass, bronze, and can machine customer supplied forgings and castings; with processing performed on our twin spindle/twin turret and single spindle CNC lathes, our Horizontal and Vertical CNC machining centers, our Wire EDM, or traditional drill presses, horizontal milling machines, lathes, rotary index machines, and specialized drilling machines. In addition, we have an excellent Centerless Grinding system for components with very demanding outside diameter tolerances and excellent finish requirements. Our 38,000 sq. ft., ISO 9001:2015 certified facility is ready and able to take on your latest design challenges. Our selection of equipment, along with our collective experience in machining, allows us to effectively handle a wide range of projects. Our green efforts include expansive waste reduction and recycling programs. From simple drilling projects to complete custom designs, we are able to provide complete solutions for your machining needs. Few other machining firms can rival our span of experience and work portfolio, which combines projects from areas as far-reaching as military, high volume consumer goods, automotive, fire suppression, heavy equipment, HVAC, medical, and hydraulics. Plus, with our highly motivated staff, we are able to produce your component right the first time, coordinate production to your specific needs, and provide detailed assistance when required. For more information about our cutting edge additional machining operations, please take a moment to contact us directly.